Carl's Curios: Specific names, approximate dates please and any other info. Specific names, approximate dates please and any other info. 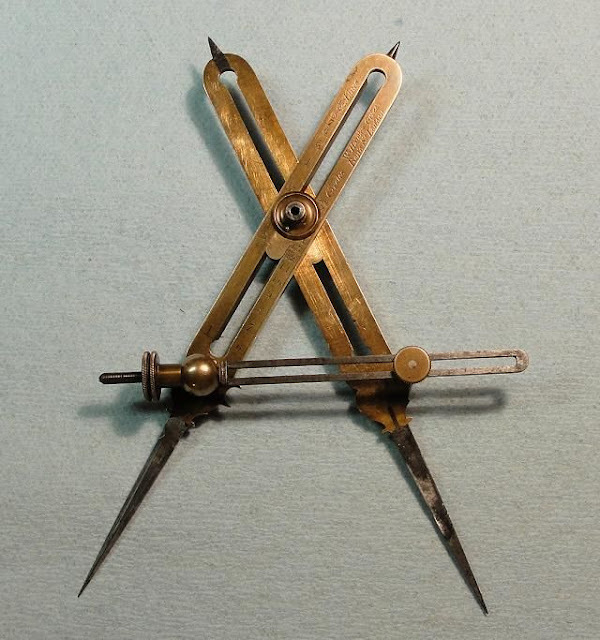 No 1 is "Proportional Dividers", drawing instrument in brass. I would guess around 1900. Very good partial description Rog as far as you go, but your date's a bit late. Have another look. (1) I'll go with Rog's name for these dividers. 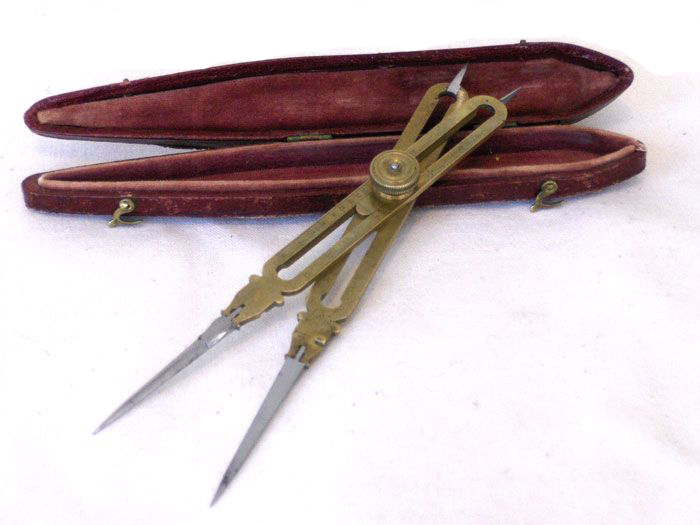 They appear to me to be circa 1820 to 1840, and in their original case. (2) Rather more complex dividers. Slightly later than number 1. (3) Some sort of spirit level. Circa 1880. (4)Good Gad !!!!!! Tea - back later. 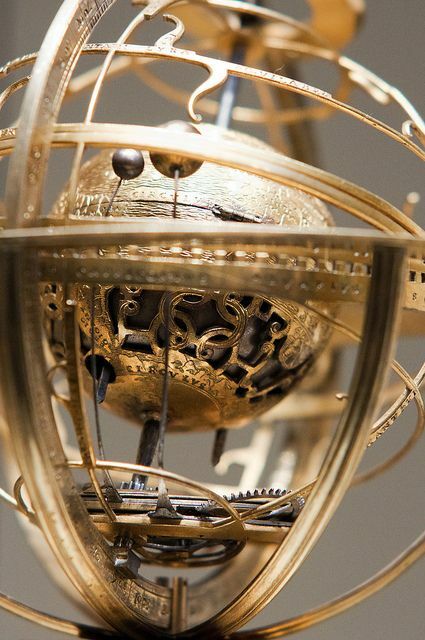 (4) Probably a device for telling the time in different places in the world - at the same time (if you see what I mean). the whole thing to be turned by the large crank in the centre. 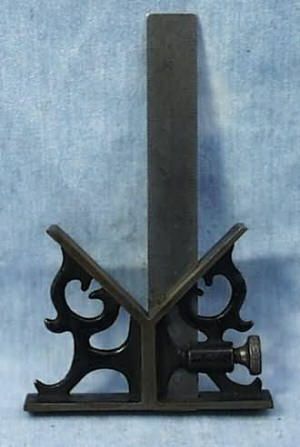 Possibly made in England, circa 1820. 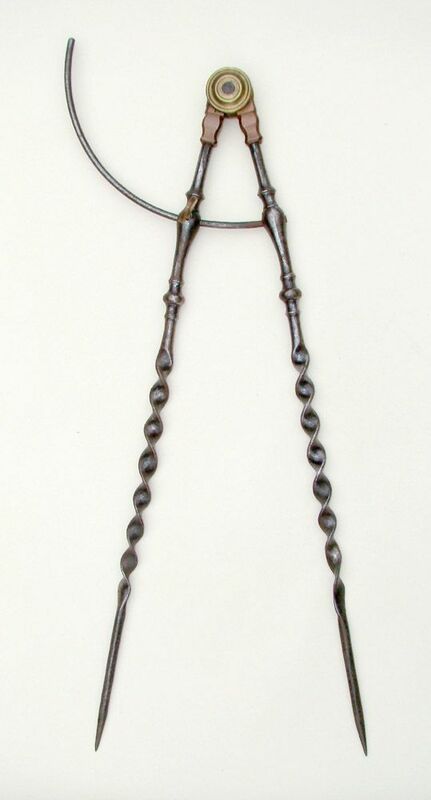 (6) Rather earlier pair of dividers- Germanic (or what is now Germany) circa 1650. 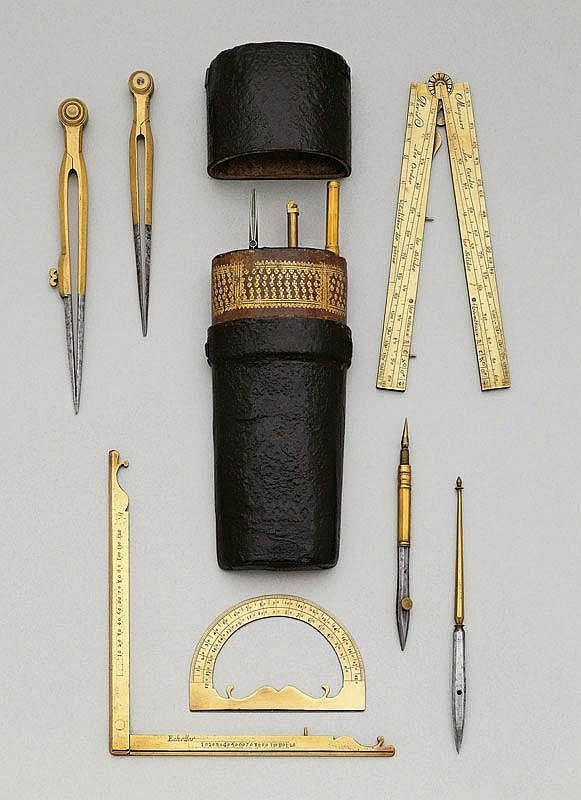 (7)Early cased geometry set, circa 1760. in shagreen case. (8) Form of set/square, with ruler, English, circa 1890. You've swept the board Mike, apart from 2, 3 & 4, but you probably got 4. before tea and forgot to fill it in?. 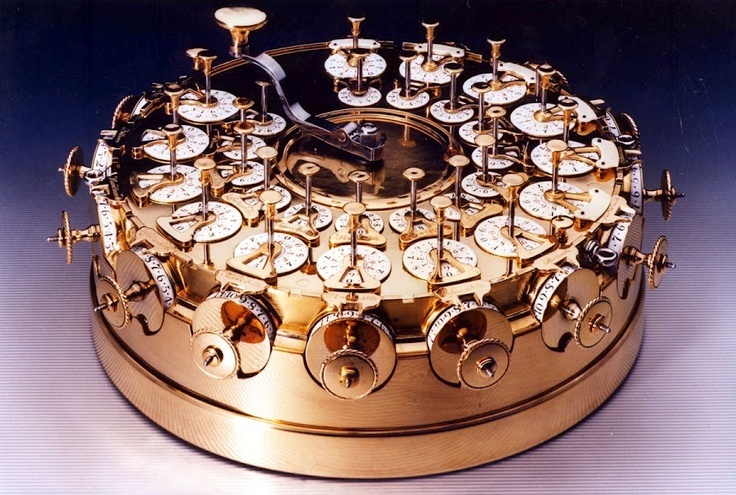 adjusted microscopically by the knurled wheel on the left. 6. As you say Mike, aren't they elegant. 8. You're in the right shop, it's a centre head T-square.